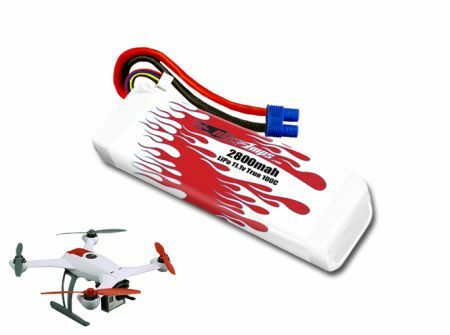 This is a high-performance LiPo battery pack for the Blade 350 QX/QX2/QX3 Quadcopter. If you are looking to maximize your power and flight time, this is the ultimate upgrade. It features a 100C rating for tons of punch and extra power. Get up to 30% more flight time than the stock 2200mah pack! Plus, we created a custom Red and White battery wrap to match your copter!